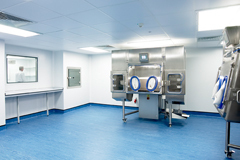 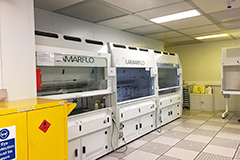 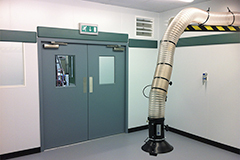 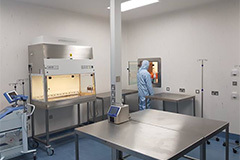 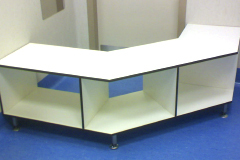 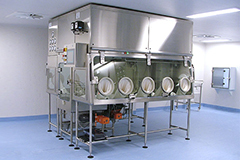 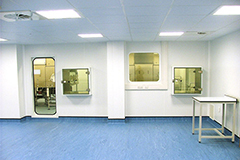 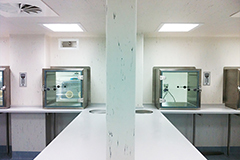 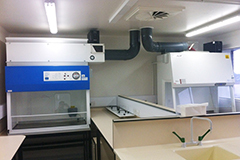 NBS Edgware’s cleanroom facility was in need of a refit and upgrade to their Grade B rooms. 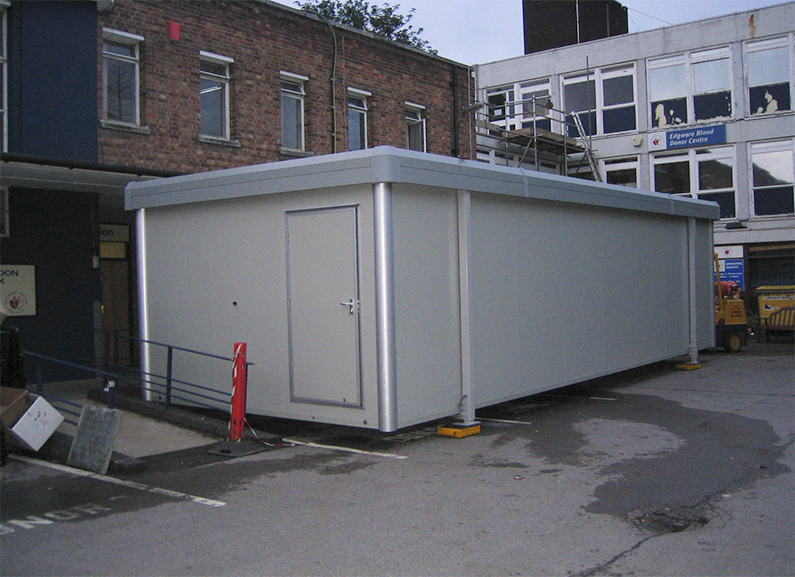 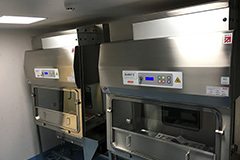 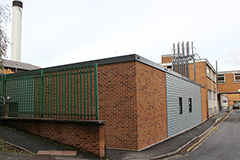 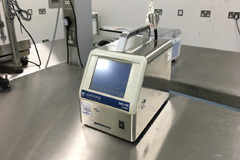 Enbloc undertook the upgrade to the main building and installed a portable cleanroom in the car park area of the hospital to allow the NBS to continue their critical process in this temporary building. 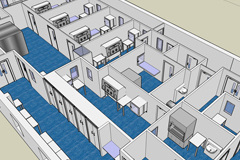 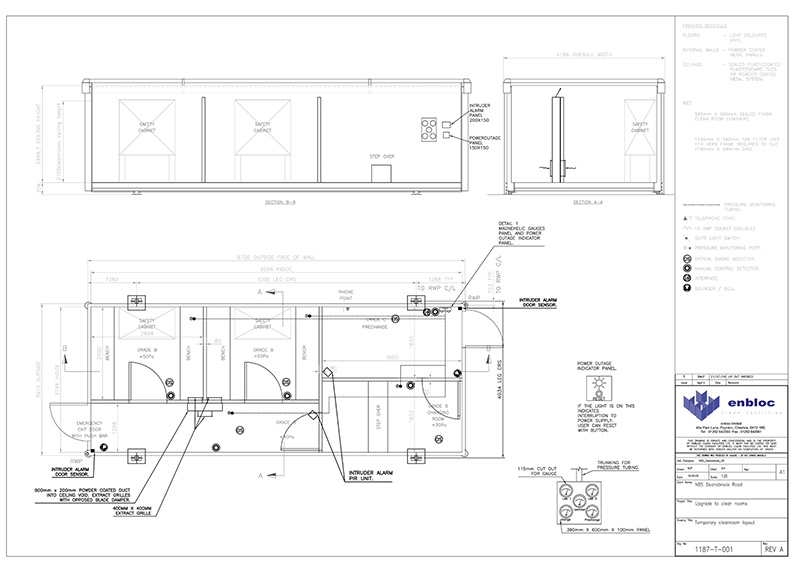 This comprised of an unclassified link corridor from the existing building, Grade C pre change room, Grade B change and corridor leading to two fully working Grade B +50Pa rooms complete with safety cabinets. 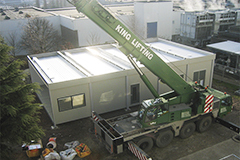 70% of the temporary building was fitted out off site, including wall paneling, electrical, fire alarm, intruder alarms and HVAC. 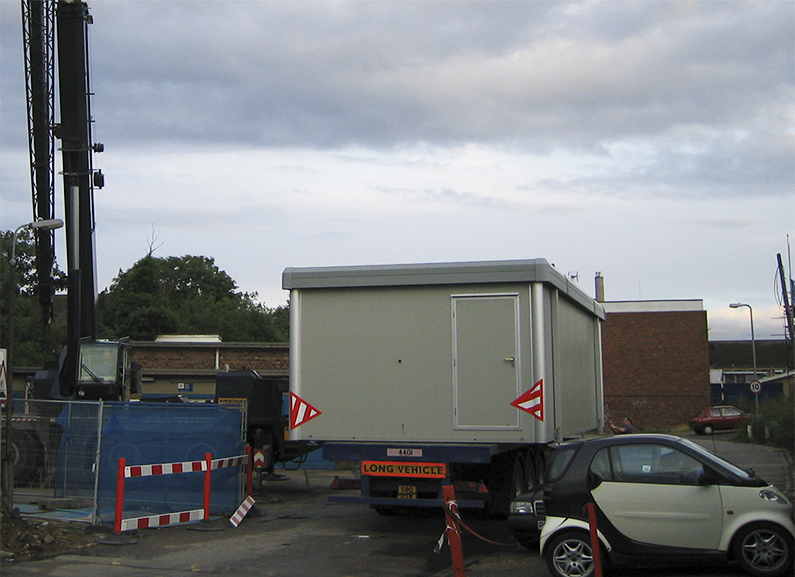 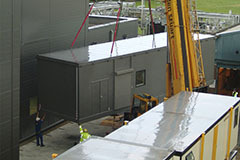 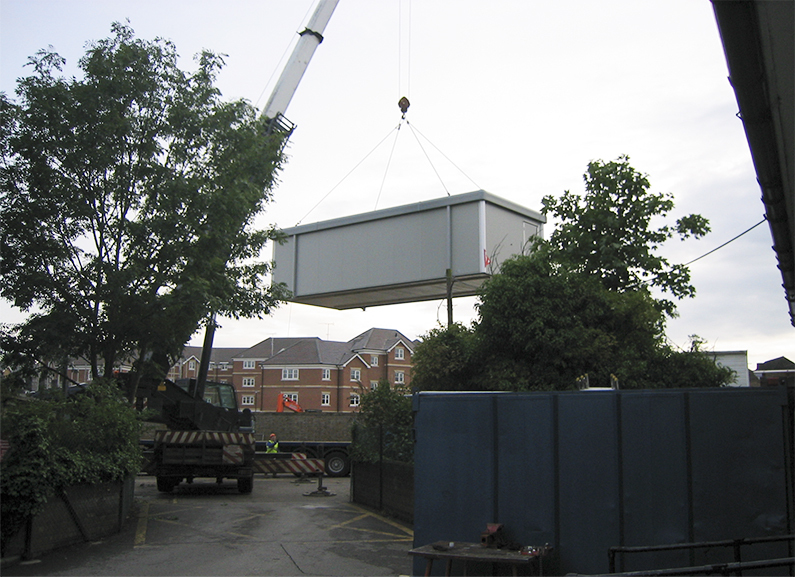 The unit was delivered to site on the back of a lorry and craned into the tight car park space. 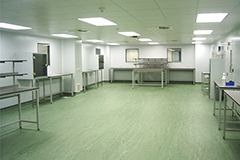 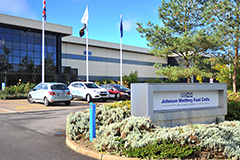 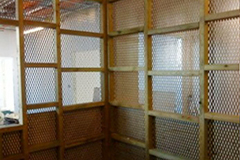 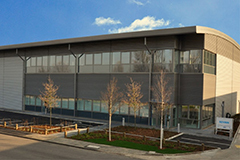 After the main project was complete, the portable cleanroom and link corridor were removed and the car park restored to its original condition.